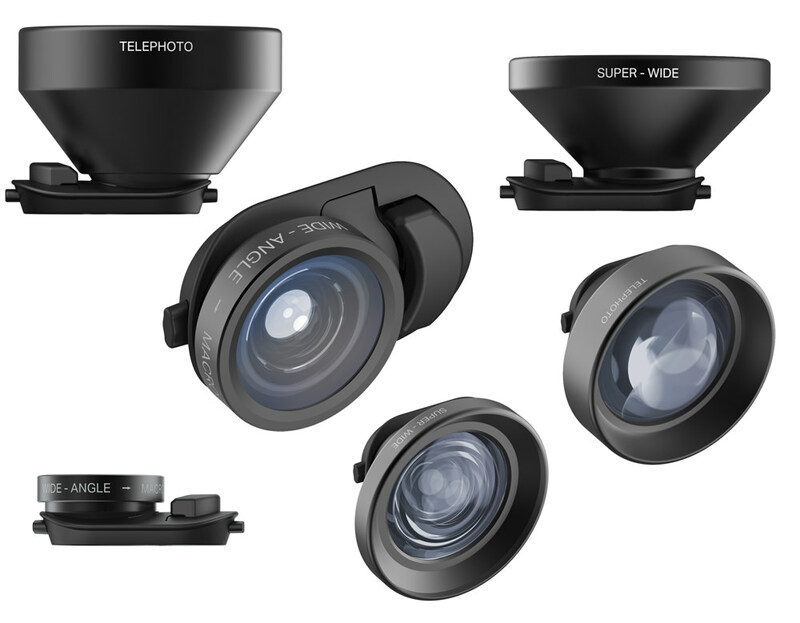 olloclip, who you may recognise as the brand known for creating optics for smartphone photographers, has expanded its range of lenses. The new Pro and Intro Series complete the olloclip Connect X line designed to let smartphone users shoot wider and closer than with the built-in camera alone. The new olloclip Pro Series consists of a Super Wide lens that provides a wider field of view with the least amount of distortion of any olloclip wide angle lens and a Telephoto lens that offers the same two-times magnification as previous telephoto lenses but gathers more light for a brighter photograph. Both lenses are available now with any of olloclip’s lens attachment clips for £139.99 (each) or £15.99 (each) when paired with an 8/7, X, XR or Multi-Device clip. The Pro lens and XS or XS Max clip combo is priced at £169.99. As well as the wide and telephoto lenses, the new olloclip Intro lens provides both a Wide Angle and Macro lens in one. With slightly more spherical effect than the Essential Series Super Wide lens, the Intro Wide Angle lens is perfect for selfies, group video chats or just capturing a bigger picture with your smartphone camera. The lens also unscrews to reveal a Macro lens to transform any smartphone into a digital magnifier. The Intro lens will be available soon, along with the current line-up of olloclip lens attachment clips, for £19.99 (lens only) or £39.99 (lens and multi-device combo). All olloclip Connect X lenses are compatible with the Multi-Device clip, iPhone X clip and future iPhone attachment clips. For more information and product availability, visit the olloclip website. These look quite large, When ePhotozine does a review i'd like to see them visually on a medium sized phone. Quote:These look quite large, When ePhotozine does a review i'd like to see them visually on a medium sized phone. They're on the way into the office so shouldn't be long.